Comfortable living in a building whose façade is covered in green and that has ‘high-rise’ gardens. All this is possible in the new construction project VERTICAL in Amsterdam Sloterdijk. 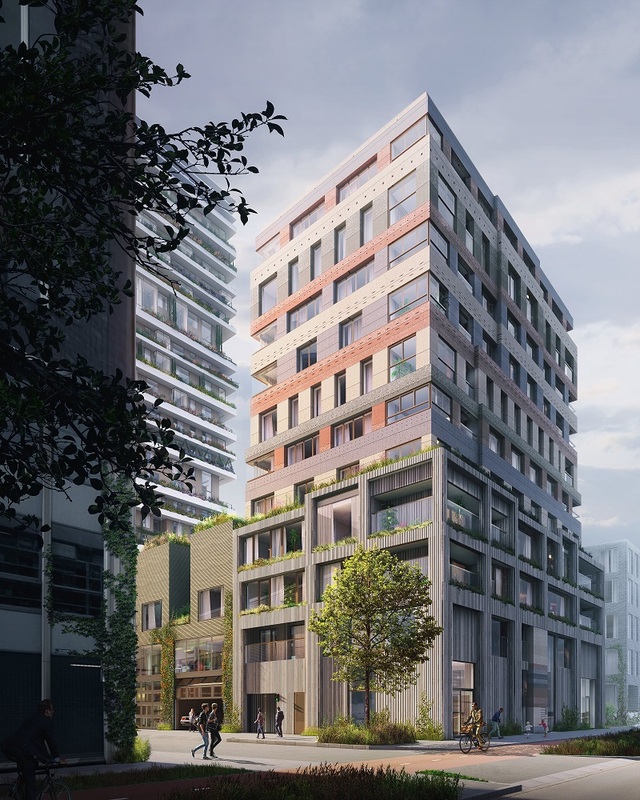 So much interest has been shown for this construction project with its ‘vertical landscape’, that the presales of phase 2 have been brought forward. Phases 1 and 2 are comprised of 72 homes, which include apartments and maisonettes. Online sales are in full swing right now. With living areas ranging from 50 to almost 202 (!) square metres, there is something for everyone. All homes have an outdoor area. Prices start at € 395,000 (seller-paid closing costs), including perpetual leasehold. The registration form, the complete price list and all other sales information can be found on the project’s site. However varied VERTICAL’s homes may be, they have one thing in common and that is sustainability, through solar energy, heat and cold storage, the use of rain water through the green roofs and the extraction of heat from warm water. Furthermore, the building will have charge points for electric cars, scooters and bicycles. 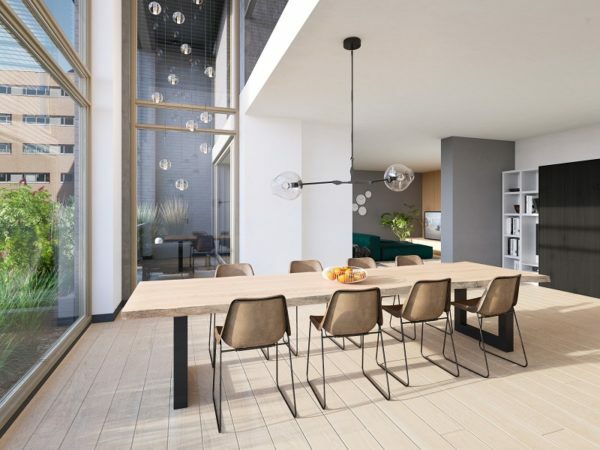 On the ground floor, there will be a bar/restaurant, a gym and work spaces – facilities that are in keeping with the development of a residential area in Sloterdijk.